2018 Epcot Food and Wine Festival Low-Cost Seminar and Demonstration Updates! Every day brings us just a bit closer to the 2018 Epcot Food and Wine Festival! And we’re getting to the point where nearly each week is starting to reveal a bit more information about the Festival as well. Take, for instance, the 2018 Low-Cost Seminars and Demonstrations — Beverage Seminars, Culinary Demonstrations, and the new Food & Beverage Pairings among them. But now, most of those items have been filled in! 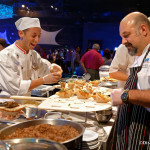 So if the dates you are planning to visit the Food & Wine Festival had some previously undetermined events, be sure to look over the Low-Cost Seminars and Demonstrations Page here to see if your dates have been updated so you can make sure you’re making the most of all of your Festival options! Click here to visit the 2018 Low-Cost Seminars and Demonstrations Page! 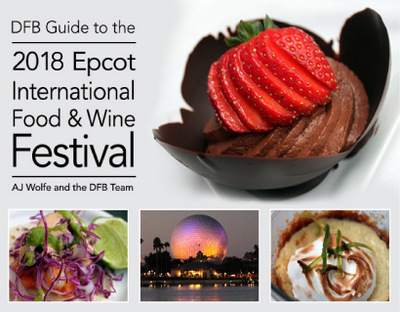 Pre-Order the DFB Guide to the 2018 Epcot Food & Wine Festival e-Book today and start planning now! This 250+-page guide to the Festival offers insider tips and advice as well as all of the details you need to know to plan your best Festival visit ever. Pre-Order your 2018 edition today! Don’t miss a moment of the fun! Are you attending a seminar or demonstration at the Food and Wine Festival this year? Please let us know with a comment! BREAKING!!! 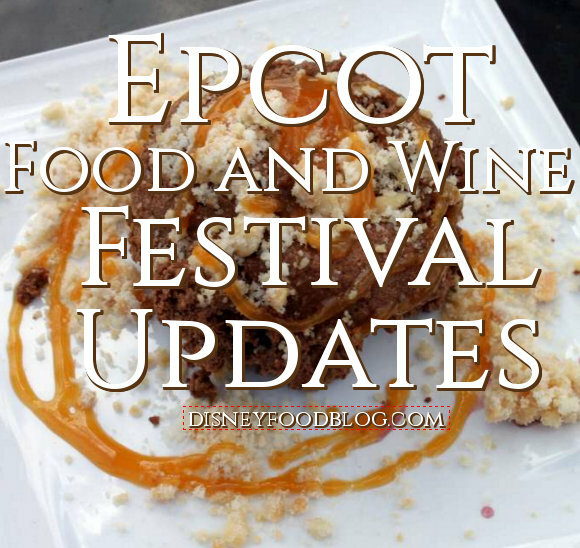 2018 Epcot Food and Wine Festival NEW Events, Eats, Booking Dates, and More! 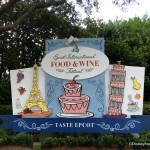 Epcot Food and Wine Festival Early Booking Date Confirmed For Select Groups! What Events To Book at the 2018 Epcot Food and Wine Festival – DFB’s Recommendations! 2018 Epcot Food and Wine Festival BOOKING NOW OPEN! « Can’t Wait to Visit Toy Story Land? Get Your DFB Guide for 50% Off and Start Planning TODAY! I assume I was not the only one to notice how Disney managed to slip in an $8 charge for wine for the combined culinary demo with wine. We signed up for two. We’ll see if they are twice as good as in the past, as they do cost twice as much now. We do highly recommend the demos. We’ve added many dishes from them to our regular dinner menu at home. What goes with Party For the Senses dates? Last year they were more numerous. This year we made our DVC reservations for 10/21 thru 10/28 only to find that PFTS was NOT going to be open on the Saturday we were there! The dates for the party were only made public WELL AFTER we had to reserve in order to get ANYTHING AT ALL on site. Lousy planning Disney! Thanks for nothing!! So there is now only 1 food demo at day? Have the 2018 menus for the Epcot booths been settled yet? I preordered a guide and wondered when it would be coming out. Thanks!! Lura, we’re still waiting for the menus to be released (and trust me, we’re obsessing over it!)! We’ve sent out a preliminary 2018 Guide, and we’ll send out the updated version with menus as soon as the information is released by Disney. Thanks for reading!